Behind the Scenes of Tam Lam reviewing the Portkeys HS7 7″ Monitor. Now, down here in Southern California, no place really is ever “too far” unless it’s Las Vegas or places near San Diego (which for most people isn’t that far of a drive anyway) but still, everyone here at FEEND Media has a different definition of “far”. The entire FEEND team is more used to production days within a 30 minute radius of our home location in San Dimas, CA but having learned we needed to be at the Carlsbad K1 Speed location the very next morning (early morning, at that), “far” was the first word that came to mind. The FEEND Media team had the amazing opportunity to shoot the Extreme Dimensions Carbon Creations products at the Horse Thief Mile track in Rosamond, California. 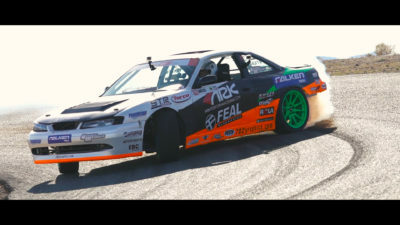 The drivers for that day were Formula Drift Professional drifter Aurimas “Odi” Bakchis as well as a handful of specially selected drivers to run the entire track “time attack” style. Kevin Natividad and brother Ryan Natividad both handled the cinematography for the day and had to carefully plan on where to be to get the best angles of the cars going around the track. The FEEND Media producer Jerel Natividad helped coordinate with the drivers the particular lines that they need to drive for the best video shots. There are countless wheel companies out there that all claim to be of the best quality and look the best on not just your car, but any other car in the market. Most wheels fall short of one of those two things, which is a bit depressing considering how far our mechanical engineering and technology as advanced throughout the last few decades. 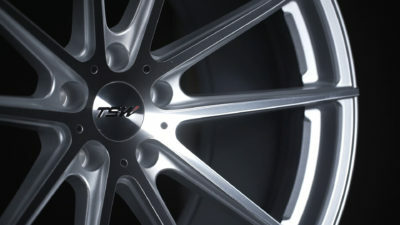 One of the few exceptions that meet both 10/10 quality and impressive, jaw-dropping designs are the TSW wheels. In every person’s life comes that one day that will be the new beginning to the rest of your life. Every moment that has led up to this one special day all comes together to make complete and total sense because they’ve all led you to the person you want to give your heart, mind, body, and soul to. 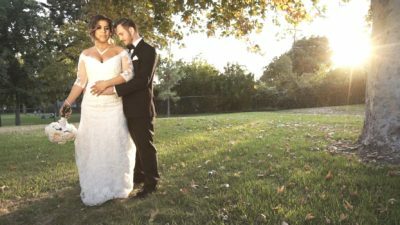 That special day is known as your wedding day and it’s a day that marks the end of one book and the opening of another awaiting to be written with love, excitement, adventure, and passion. For most of us, we see a photo of somebody we know personally and can instantly recall a memory of that person. You may have spent significant time with that particular person and seeing that photo reminds you of how much love there is in the friendship or romantic relationship. Recently, Kevin Natividad and Jay Bala shot an engagement photoshoot of a couple who have been together for probably nearly a decade. While shooting those photos, Kevin and Jay really felt the love that Michael and Chiara share for each other. Most people nowadays believe that a nice set of wheels only belong on track cars, drift cars, and show cars. Nice wheels accentuate the car and really brings out the personality and the soul the moving machine has to exude in the outside world. Whether you’re into anything automotive, a car lover is a car lover. Enthusiasm is enthusiasm. The Jeep Wrangler is definitely no exception when it comes to being a prime choice for modified cars. It doesn’t matter what type of automotive community you fall under because all that matters is if you can truly appreciate a car’s beauty or not. That’s where a gorgeous set of aftermarket wheels come into play. Black Rhino really stepped their game up this season and has graced the world with a new model to highlight the Jeep Wrangler. 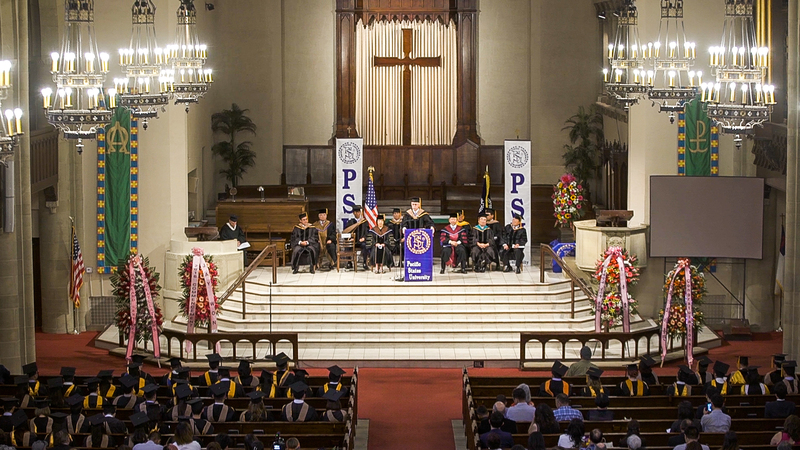 Camera Insight – Shooting the PSUCA 2016 Graduation! It’s that time of the year where students finish the grueling, sometimes sleepless nights of studying for what would appear to be endless tests and countless questions. But assuredly enough, all the learning and filling the mind up with knowledge brings forward the new generation of professionals and brilliant souls. Father’s Day at K1 Speed! Our previous blog post was mainly about the behind the scenes aspect of our shoot and even had photos of what our production setup looked like. Overall, it took us about two hours of shooting and and triple that, if not more, to get the timing and audio just right. It was a tricky edit, but we managed to make it just as awesome as our imagination was when we were writing up the shot list for the video. Stay tuned for our next blog post and a new video will be up soon! K1 Speed | Father's Day from FEEND media on Vimeo. 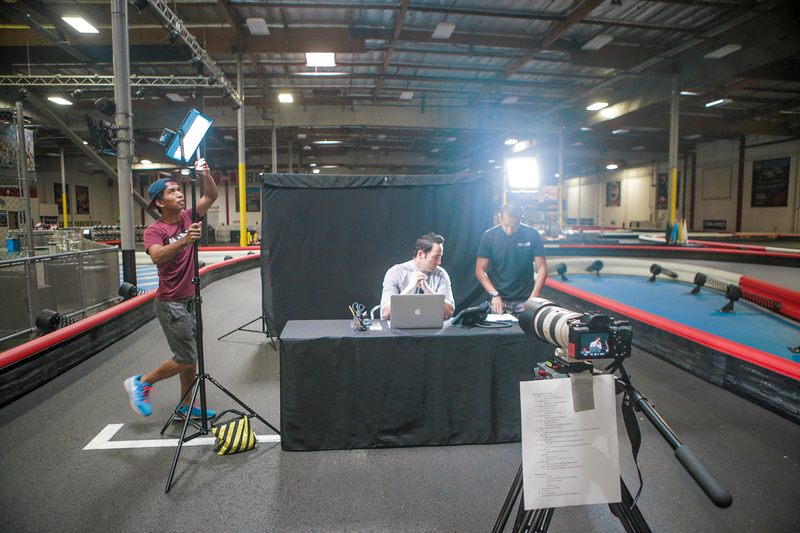 Behind The Scenes | Father’s Day Video at K1 Speed Irvine! What’s going on everybody! 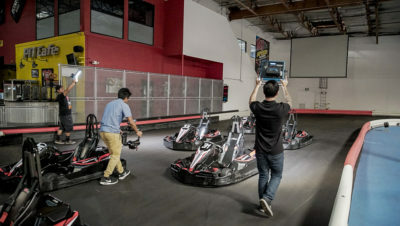 It’s Jaybee again, and this week I was with the Feend Media team at K1 Speed in Irvine, CA. It wasn’t your normal day at the K1 Speed track because this time around, we shot a short video specifically for Father’s Day (which at this very moment, will be coming around the corner on Sunday)! The difference was, the go-kart itself wasn’t actually racing or even moving per se. We got a desk, a laptop, and other typical office supplies to imitate what you would normally see on a desk in an office cubicle – minus the bland colors. It surely has been a long while, but the official FEEND media blog is back! My name is Jaybee and I’m with the FEEND media team as a videographer, photographer, editor, and one of the creative directors. 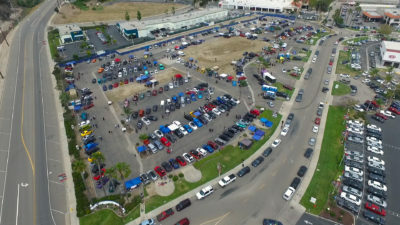 Today marks the day we’re coming back to the digital blogosphere with coverage from the most recent, and, as you guessed it, the third annual Summer Kickoff Car Show at Toyota of San Bernardino! This past weekend we were invited to do some behind-the-scenes work for crossfit spokesmodel and athlete, Stephanie Perez. FEEND Media was invited to film and record the MSTR x B. Scott collaboration party. 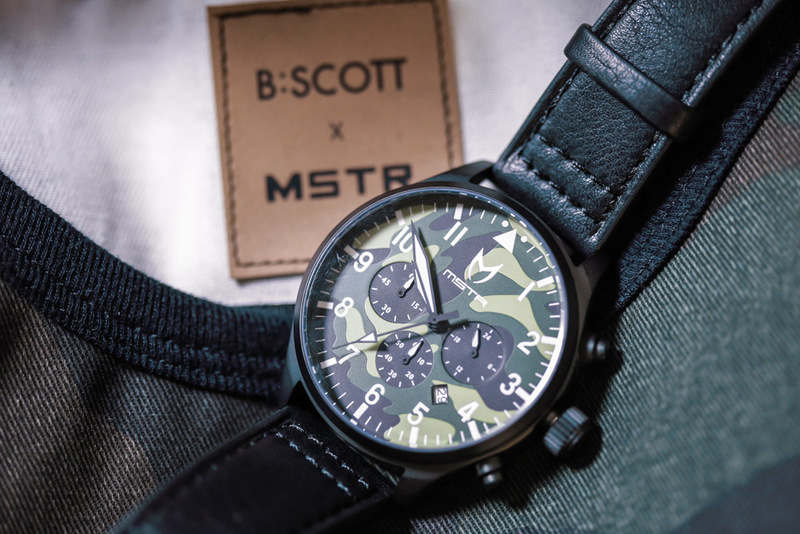 The two Southern California fashion brands came together to release a series of camo themed pieces, including a watch, t-shirt, and ring. 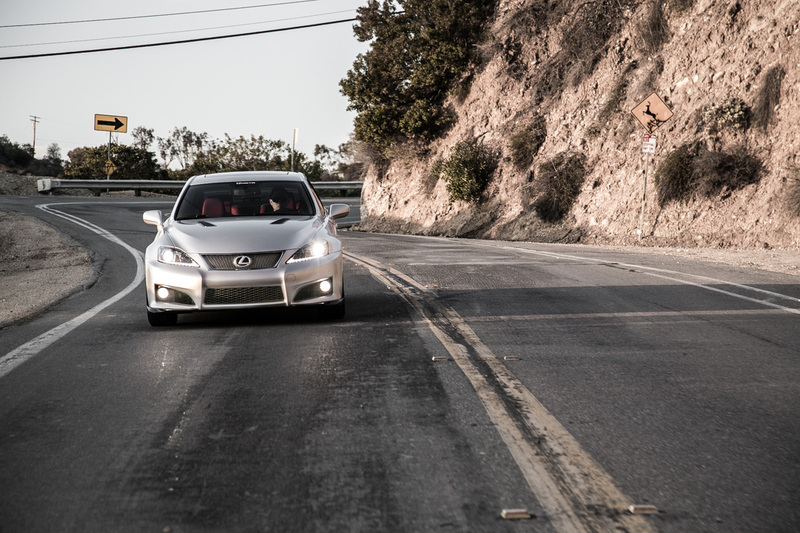 FEEND Media began its first in a series of videos documenting the transformation of MSTR’s Lexus IS-F from bone stock to track beast, before its debut at SEMA as a show car. We met up with the originators of the watch company at their office in City of Industry. Here is a behind the scenes video we shot for LAPRIVY Magazine’s Fashion Photoshoot.